Ethanol (EtOH) has effects on numerous cellular molecular targets, and alterations in synaptic function are prominent among these effects. Acute exposure to EtOH activates or inhibits the function of proteins involved in synaptic transmission, while chronic exposure often produces opposing and/or compensatory/homeostatic effects on the expression, localization, and function of these proteins. Interactions between different neurotransmitters (e.g., neuropeptide effects on release of small molecule transmitters) can also influence both acute and chronic EtOH actions. Studies in intact animals indicate that the proteins affected by EtOH also play roles in the neural actions of the drug, including acute intoxication, tolerance, dependence, and the seeking and drinking of EtOH. 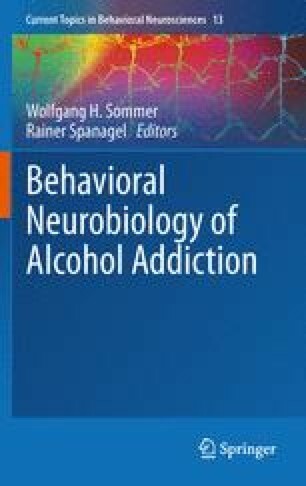 This chapter reviews the literature describing these acute and chronic synaptic effects of EtOH and their relevance for synaptic transmission, plasticity, and behavior.